Barbara Wurm covers in her festival report the Russian component of the International Film Festival at Rotterdam, headed this year for the first time by Rutger Wolfson. But apart from a good program of Russian films, the Rotterdam Film Festival has always boasted a particularly strong selection of Central Asian cinema. It has been ten years, however, since a Kazakh film was last entered into the competition program, which is comprised of first and second films. Was this a sign of the absence of a new generation of filmmakers to emerge in the national cinema? In 1997 Amir Karakulov's Last Holidays (Poslednie kanikuly) won the Tiger Award. Set in 1979 the film dealt with three teenage boys who drink, steal, and use drugs, until the father of one of them turns his son into the police, where he is badly beaten up. The three heroes are, thus, victims of a society that bullies and represses them (father, police); their criminal energy is seen as protest and opposition, derived essentially from illegal stimulants, which makes them social outcasts. Curiously enough, the Kazakh competition film this year dealt once again with a teenager who is an outsider. So, has nothing changed for the young generation in Kazakhstan? 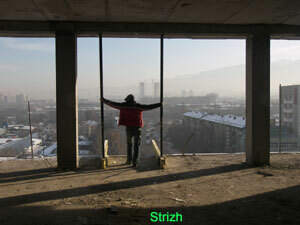 In 2008 Abai Kulbai's Strizh (2007) was entered into Rotterdam's Tiger competition, which awards three main prizes. Strizh (reviewed by Elena Stishova in this issue) also deals with teenagers—eleven years after the Last Holidays was screened in Rotterdam and set almost thirty years later than the earlier film. The action of the film takes place in a wintry Almaty, a city that is cold towards its inhabitants. The teenage girl Ainur is an outsider, torn between her Russian father and Kazakh mother, between childhood and adulthood, between mixing with boys or girls. And there is no resolution to her dilemma. Kulbai's film had to be screened from Beta-Digital format because Kazakhfilm—after the sudden dismissal of the studio's director and the film's producer, Sergei Azimov, in November 2007—failed to print a 35mm copy in time for the Rotterdam screening. Strizh is an extraordinary film because it explores the life of a generation born into independence: Ainur is a child of the first years of an independent Kazakhstan, a child of a mixed marriage who barely understands Kazakh. She exists in a limbo between the new, modern skyscrapers that her father services and where she is raped, and the hovel where her mother and stepfather live. Her dichotomy echoes that of the first Kazakh-born generation, which essentially does not know where it belongs any more than the unsettled generation of the Kazakh new wave in the 1980s. Kulbai's film captures the sense of floating that fully justifies the ambiguous ending of the film: whether the heroine dies or lives remains a matter of interpretation—and of the will to argue for or against the emergence of a new social identity in independent Kazakhstan. Darejan Omirbaev's Shuga (2007), a masterfully filmed adaptation and modernization of Lev Tolstoi's Anna Karenina , also captures the discrepancy, both temporal and spatial, between old and new as represented by life in Almaty and in the new, sterile capital Astana where Shuga lives. She comes to Almaty to save her brother's marriage. On the train, she meets a young man, Ablai, with whom she becomes infatuated and who represents the old way of life. In this sense, the film could be read as a statement on the issue of Kazakh national identity, which in this story leads to an all too known outcome: Shuga, like Anna Karenina, throws herself in front of a train. The return to the old capital and its way of life is doomed. Marat Alykulov's Adep Akhlak (Kyrgyztan, 2007) begins with another scene of an attempted suicide on the rail tracks. The title of film, which can be translated as “Absurd and Absurdity,” is in fact a term that, as the director explained during the introduction to the screening, should not be translated because it is a term from Muslim thinking that describes something like the absurdity of life. Adep Akhlak is Alykulov's debut as filmmaker; he had worked as director of photography on a number of features before, and his skill for conceiving unusual camera angles is evident in his film (thus, for example, there is a scene filmed from inside a flushing toilet). The film opens with the striking scene of a young man, Bakit, attempting to kill himself by elaborately and carefully placing his head on the rail track, only to find that the train follows a different set of rails—and he remains lying there, unharmed. The fine line between tragedy and comedy that Alykulov develops in this first scene is struck throughout the film and refers to the absurdity that is alluded to in the title's translation. During the course of the film, the student Bakit undertakes several more suicide attempts, trying to strangle himself on the radiator, for example; all these attempts are equally futile. It is the accidental death of a girl that his neighbor sheltered for the night that suddenly makes Bakit realize the futility of life—and the value of his own. In the meantime, another comedy develops next door: Bakit's neighbor Erkin ostentatiously betrays his wife with a woman from the next block and is caught when he mixes up the entrances after taking out the rubbish for his mistress. A third line is added to the unsuccessful suicide and adultery: the story of a young doctor, Stas, who tries to obtain a visa to leave for Germany to rejoin his wife and child. Eventually he is granted the visa and leaves after long farewells, only to announce at the film's end that he will return to his native town with his wife and child, since life in Germany may be comfortable, but is also boring. The lives of the three men do not change: they all continue, or return, to their old way of life. Small things happen, but no major changes take place, and the old bonds and friendships, with the countryside, with friends or with neighbors (the Soviet idea of collectivity) survive and persist. Alykulov shows the funny and tragic sides of life in his native Kyrgyzstan, which is the land where his and his protagonists' roots are located. A second Kyrgyz film was featured in the Time and Tide sidebar: Ernest Abdyjaparov's Pure Coolness (Boz Salkyn, 2007), which had screened at the Eurasia IFF and was awarded the competition's prize in a tie with Strizh. Pure Coolness also explores the return to old traditions that might prove to hold more truth than modern life. The young and beautiful city girl Asem visits the countryside near Issyk-Kul with her boyfriend Marat; there she finds both her roots and happiness unexpectedly through a coincidental and accidental marriage to a shepherd. The beauty of the countryside and the neighbors' solidarity permeate these new Kyrgyz films, which are both first and second films by filmmakers whose apprenticeship took place in scriptwriting and photography. Their films are not poetic or romantic tales, but stories of the possibility for tradition and modern life to coexist harmoniously. Traditions and rituals are not shown as stifling, but liberating, facilitating the search for one's self, which is an interesting and new trend in Central Asian cinema. 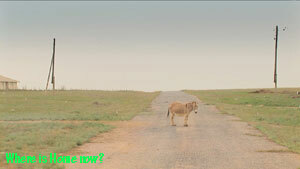 It is also worth mentioning the participation of the Kazakh-German documentary by Anna Hoffmann Where is Home now? (Welche Richting geht's nach Hause?, 2007), in which she explores the journey back to the Kazakh village of her ethnic German family (father and grandfather), who emigrated to Germany after the collapse of the Soviet Union. They return to see their old village—in newly independent Kazakhstan. The IFFR's selection of Central Asian films shows the strength of Kyrgyz and Kazakh films over Uzbek, Tajik, and Turkmen films, while also pointing out the superiority of tradition over modern life as the way forward.